James H. Glazier, Jr. (Buddy): Buddy started in the pest control industry as an employee of Arab Termite and Pest Control in 1974. During his employment there from 1974 to 1979, he received extensive training in pest control technology, Department of Agriculture law and regulation of the industry, as well as multiple training and educational opportunities through the University of Maryland at College Park, Montgomery College in Rockville, and the National Pest Management Association in Dunn Loring, Virginia. In 1976, through the Maryland Department of Agriculture, he became certified to perform and supervise pest control operations in general pest, wood destroying insects, termite control, rodent control, and fumigation. In 1979, with then partner Eugene Stillwell, Jr. (another employee of Arab Termite and Pest Control), Buddy and Gene started Infestation Control, Inc. and incorporated on October 15, 1979. In 1976, Buddy married his childhood sweetheart, Lori, who also works at Infestation Control, along with their sons, Daniel and Justin. Buddy serves as an ordained deacon at Poolesville Baptist Church and is an active participant in the American Cancer Society’s Relay For Life, as well as other community and national charity efforts. Other interests include camping, fishing, boating, NASCAR and the Redskins. 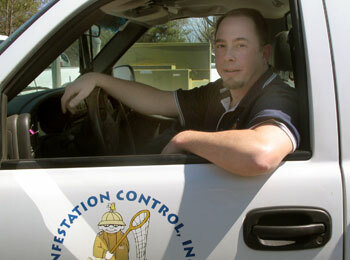 Trey Stillwell: Trey's father and Buddy started Infestation Control, Inc. in 1979. Trey joined the team shortly thereafter working for ICI part time from 1982-1985 while he was attending school. After graduating from Rockville High School Trey joined ICI as a full time employee. When Trey's father decided to retire in 1989, Trey joined Buddy as part owner and has been helping to run the business ever since. Trey is a credentialed and certified inspector and pest control operator and gets great pride from helping his customers solve their pest control issues. He has always strongly believed in treating his customers as he would want to be treated. Trey has been happily married since November of 1988; coincidentally his wife happened to work next door to ICI’s office when they met. After getting married in 1988 his wife joined ICI as the office manager until their first son arrived in January of 1996. His wife is now a busy stay at home mother taking care of their now three blessed children, ages 12, 7, and 5. In the little bit of off time Trey may have, he enjoys spending it with his family. He enjoys taking his kids to Redskins and Capitals games, riding bikes, heading to the playground and vacationing at the beach. Daniel Glazier: Daniel began working with the family business at age 13 doing odd jobs, sweeping floors, drilling holes, and assisting his father, Buddy wherever needed. After attending Montgomery College, Daniel headed south to the University of Georgia where he continued his business education and established himself as a professional chef. 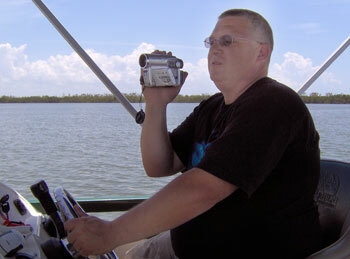 He returned home to Maryland in 2005 to continue working as a service technician for ICI. 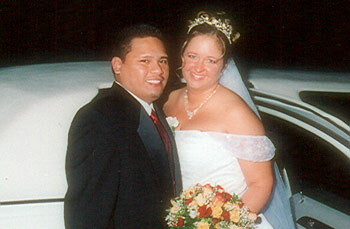 Daniel married his wonderful wife in September of 2005, and currently resides in Frederick, Maryland. A sports junkie at heart, Daniel’s prized possessions include an elaborate memorabilia collection with everything from Redskins football to NASCAR memorabilia. In his everyday work, Daniel enjoys building professional relationships with his customers. Getting to know families and their needs is Daniel’s key to providing effective service. Daniel is an outdoor enthusiast and is involved with the American Cancer Society’s Relay For Life, which he is very passionate about. Justin Glazier: Like his brother Daniel, Justin started working for ICI during the summer prior to his freshman year of high school, sweeping floors, drilling holes for termite treatments, and helping out in any other way he was allowed. He worked in the summers throughout high school and continued to work for ICI during his time at Montgomery College before heading off to Salisbury University to finish his degree in business management at the Perdue School of Business. Nearly 8 years later, and a recent college graduate, Justin is glad to be back working full time with the family and looks forward to carrying on the tradition of excellence and integrity at ICI for many years to come. In addition, while attending Montgomery College he volunteered as an assistant lacrosse coach at Poolesville High School and has recently accepted a position at Clarksburg High School as assistant lacrosse coach, beginning in the spring of 2009. Justin enjoys coaching and the rewarding feeling that comes with teaching and leading young men. Justin is also very involved with The American Cancer Society’s Relay For Life. TJ Krywucki: With our continued trend of keeping things in the family, TJ is Trey’s stepbrother. TJ has worked for ICI since 1997 after serving seven years with the United States Marine Corp. TJ is our resident handyman with previous experience as a mechanic and an electrician. TJ now lives in Sykesville with his lovely wife and daughter. Away from work TJ enjoys attending his daughters track meets, watching and attending sporting events and spending his vacations on the beach. Dave Eaton: Dave joined the ICI team over nine years ago after working for seven years at one of our competitors. 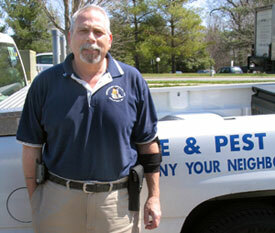 With this, he has over 16 years of experience as a licensed pest control operator. 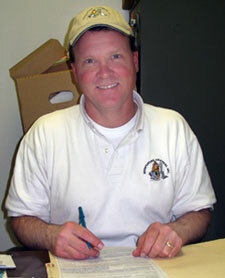 In addition, Dave has ten years of service in the building materials industry and was on the Board of Directors with the National Lumberman’s Association of Washington, D.C. Dave has extensive knowledge in wood preservation and the resulting effects of pest infestations in various structures. Outside of work, Dave has been happily married for over 22 years and currently resides in Westminster with his wife, son, daughter, and yellow lab, Prince. Dave and his wife are sponsoring members of the Autism Society of America and ARC of Carroll County. They recently participated in “Walk Now For Autism” at Towson University and continue to help raise money for their local autism support group, FOCAS. Dave enjoys spending time with his family, restoring old cars and boats and spends his vacations fishing in the Outer banks. Joel Adema: Joel has been an employee of Infestation Control, Inc. since 2000 following his graduation from Poolesville High School. Joel is a Filipino native who grew up in Edgewater, Maryland, went to high school in Poolesville, Maryland, and now resides in Frederick. Joel is very punctual and reliable and takes great pride in customer service, building lasting relationships with his customers. He participates in continuing education with the MD Dept. of Agriculture and enjoys reading pest control literature to stay current on his knowledge of the industry. Joel specializes in termite control and bed bug eradication, as well as many other pest control services. 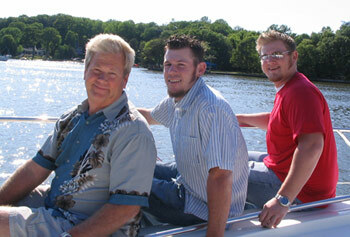 Joel has been happily married since 2004 and is now a proud father as of April 14, 2008. Steve Goldberg: Steve has over 30 years invested in the pest control industry and certified and credentialed in both wood destroying organisms and insects. 10 of Steve’s 30 years in the industry were spent in the Integrated Pest Management program at The National Institute of Health. Steve has taken numerous scientific pest control courses over the years at Montgomery College, Virginia Tech, and Arizona State University. He enjoys playing his guitar, collecting sports and antique memorabilia, and traveling with his wife of 25 years who he is proud to say is a breast cancer survivor. Steve and his wife have been blessed with many nieces and nephews who they enjoy borrowing and watching them play with their dog “Oreo”. Lori Glazier: After graduating from high school, Lori continued her education at Montgomery College in the Medical Assistant Program. In December of 1976, she married her husband of 31 years, Buddy Glazier. Having finished her training as a medical assistant, Lori joined a doctor’s group in Rockville where she was employed full time until the birth of her first son, Daniel, in August of 1981. At that point, she became a stay-at-home mom to Daniel and then Justin in 1986. She would also occasionally fill in, when needed, at the doctor’s office, as well as at Infestation Control. Now that the boys are grown and involved in the family business, Lori has been working full time at Infestation Control, Inc. helping run the day-to-day administrative operations as office manager. Lori is active in her church at Poolesville Baptist where she enjoys caring for babies in the nursery. She has actively participated in the American Cancer Society’s Relay For Life of Poolesville as a team captain since Poolesville’s first Relay in 2006. She finds this to be a very rewarding experience raising money to help eliminate a disease that has taken many family members, as well as celebrate the family and friends who are survivors. 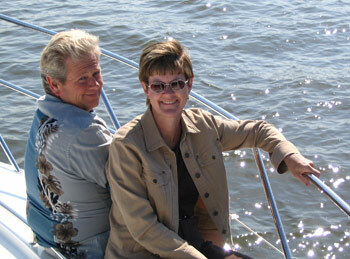 Lori enjoys reading and camping, especially being able to spend part of the winter in the Keys with Buddy. Patti Murphy: Patti Murphy began her career in pest control with the same view of bugs that many of our customers have – gross! Over the past six years Patti has embraced the industry and become an integral part of the ICI family. Patti has grown to be very knowledgeable in pest control management, but her greatest asset is her willingness and desire to help our customers. Patti enjoys helping customers resolve their pest control issues with courteous and knowledgeable service. 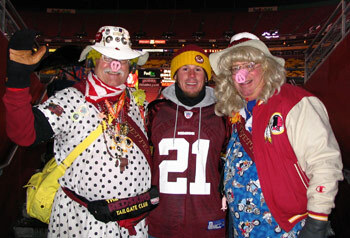 An avid sports fan, Patti loves following and talking Redskins football, as well as all local sporting teams. Also, Patti is a proactive member of the ICI Relay for Life team raising over $2,000 annually for cancer research.